It’s always good to have something to celebrate, enjoy and share with family and friends. This month is no exception with two key dates in the diary to note! Firstly, it’s Graduation Time, with students finishing their studies for the summer and preparing for their celebration of graduation. Whilst busily planning the actual day and making sure they’ve ordered their gowns, it is also a time to reflect and think of it as being a momentous occasion. With that in mind, parents and grandparents alike will always want to cherish the day with a photo of their loved one, or they may want to present a gift. Look no further than a selection of what we feel is a good choice of graduation gifts in celebration of making memories. Traditionally, the owl is known as a symbol of wisdom, recorded as early as 1875. The owl is smart with his large eyes making him look like he’s paying attention. 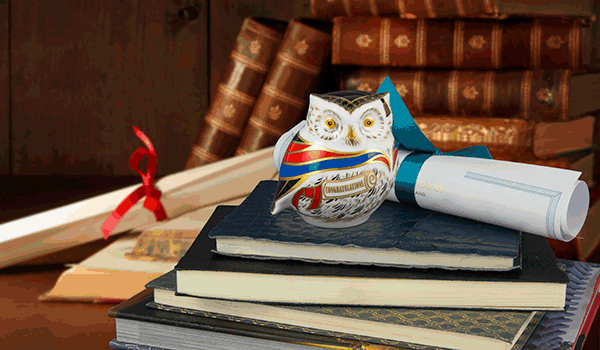 The Royal Crown Derby Wise Owl is a perfect gift featuring a finely crafted mortar board and diploma scroll with a message of Congratulations. Everyone wants to capture that magical moment of making memories on graduation day so to display in a photo frame makes for an ideal present. 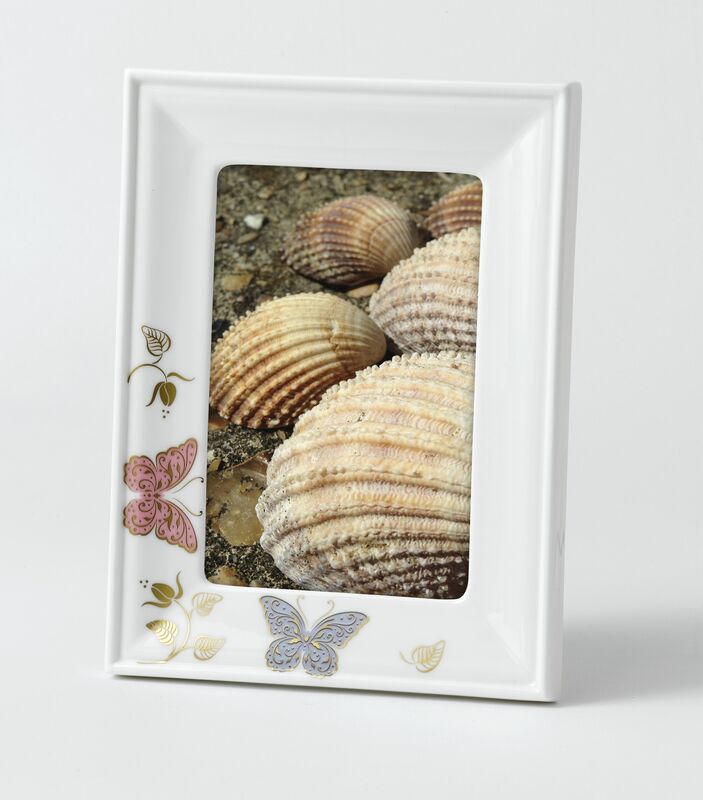 Sized at 18cm x 12.5cm (7” x 5”), the Royal Butterfly photo frame features delicately applied pastel shades of illustrative butterflies with touches of 22ct gold. 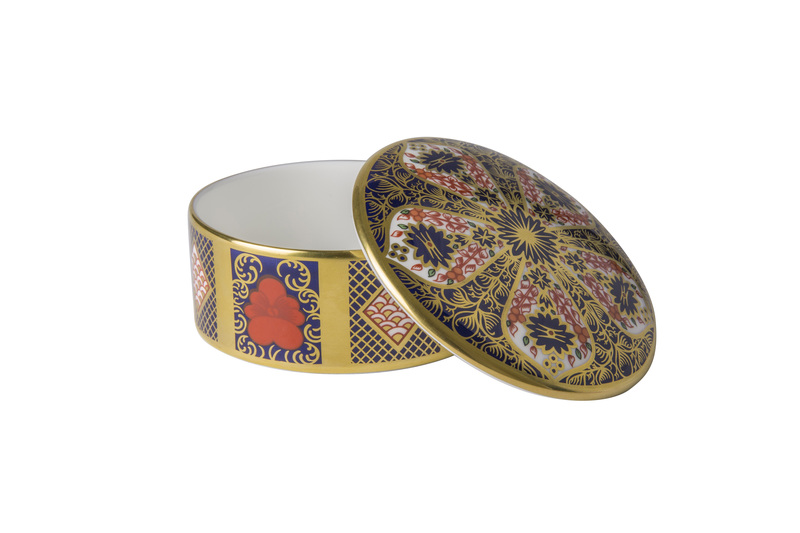 Synonymous with the Royal Crown Derby brand, the Old Imari Solid Gold Band pattern with its rich colours of Derby red and cobalt blue embellished in 22ct gold gives the Trinket Box the perfect gift as a keepsake item. Take-a-look at the full range of Graduation Gifts by clicking here and give the gift of luxury to mark the special occasion that is Graduation Day. We like to show how much we appreciate our loved ones and here in the UK on Sunday, 17th June it will be Father’s Day, a time to reflect and show extra kindness towards them. Start the day with providing him with a hot drink using one of our many mugs and beakers such as the Steampunk Post Meridien Beaker, Old Imari Solid Gold Band Mug or the Equus Coffee Cup & Saucer whether they prefer tea or an expresso coffee. Why not treat your father to only the best in ultimate luxury using the mechanical and architectural inspired Oscillate Onyx tableware collection or the East meets West symmetrical Feng Shui-designed tableware, giving him a meal to remember? For the bird enthusiast who likes to showcase some colour in his home, the Yellow Hammer is a popular and colourful choice, or, as it’s strawberry season, why not take-a-look at the Hedgehog Strawberry completed in 22ct gold with an illustrative strawberry decoration. Identifiable by its detailed markings, the Jenny Wren is a bird seen in a wide range of habitats from gardens, woodlands to farmland or moorland. They say a dog is a man’s best friend and we have the popular but classic British Bulldog which symbolises defiance, strength and spirit to the dewy-eyed Bertie Puppy Dog – both highly decorated and edged in gold. We have a gift for everyone when making memories.